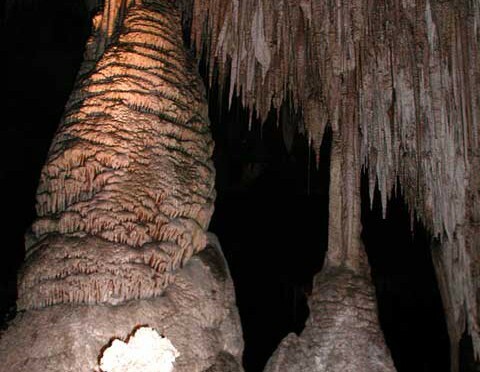 As you pass through the Chihuahuan Desert and Guadalupe Mountains of southeastern New Mexico and west Texas—filled with prickly pear, chollas, sotols and agaves—you might never guess there are more than 300 known caves beneath the surface. The park contains 113 of these caves, formed when sulfuric acid dissolved the surrounding limestone, creating some of the largest caves in North America. One of the “giants” in the Hall of Giants.